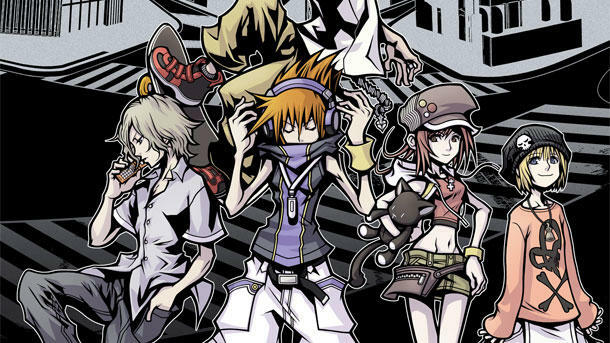 By all accounts, the iOS version of The World Ends With You is superior to the Nintendo DS version. The iPad's bigger touch screen allows for easier touching gestures, the combat system doesn't confuse your brain by being spread across two screens, and it features ones of the few instances where high resolution art improves on the original's pixelated style. Again, it is superior is almost ever way, expect for one tiny detail: the Nintendo DS version actually works. Ever since the upgrade to iOS 8 last September, Square Enix's excellent action RPG has not been compatible with any model of the iPhone or iPad, but the game remained on sale for many to pick up and be unable to play. Only this week has Square Enix properly reacted and pulled the $17.99 game from the shop, issuing a statement on fixing the issues. Upon examining the impact of recent iOS updates to the title, we determined that the affected areas were greater than originally assumed. We were working to address this matter, however, the title has been regrettably pulled from the Store. Square Enix is actively working with all related parties to make available the software update; however at this time, we are unable to communicate a clear and adequate timeline. We appreciate your patience and understanding as we work to determine a solution. A shining example of why I will always fall on the side of dedicated hardware for gaming. No need to worry about updates screwing with compatibility and no need to worry about a publisher dragging its feet to fix the problem. To play The World End With You on Nintendo DS, all I have to do is put the game in the slot and bingo. Should the Nintendo DS break, a rare occurrence for Nintendo products, then it falls on me to replace it, not a publisher who doesn't provide a time window. The game is mine forever and always available whenever I want. There will come a day when Square Enix simply has too many games on iOS and can't bother to update all of them whether it is for lack of interest from its audience or no financial incentive for the company. Apparently it also has issues with both Final Fantasy and Final Fantasy II. When that day comes, that Nintendo DS cart is going to look a whole lot more attractive for fans. Being able to actually play it is a far bigger incentive than the few graphical and gameplay bonuses granted to the mobile version.